Since the Jefferson Space Museum has the world's largest collection of space flown US $2 bills spanning the history of US manned spaceflight, we have always been interested in other space flown currency. Part of the historic lore around astronauts carrying currency into space includes the tradition of the crews signing one dollar bills, flying them, and turning them over to the National Aeronautical Association (NAA) for their official flight certifications post the mission. Over the years, I have talked to astronauts about these bills -- all have recalled them, and recalled turning them over to the NAA official involved...but no one knowing what ever happened to them. I have also spoken with the NAA, and senior folks there were also aware of the tradition, but had no record of whatever happened to the bills. Then one day I was researching on the Smithsonian website, and stubbled across the bills, which you can see by clicking here, and then scrolling down to the middle of the page where you will see groupings of dollar bills signed by all the Apollo flight crews. These bills all flew on their respective Apollo missions. Amazingly, these bills are not displayed anywhere at the Smithsonian, but are in storage. 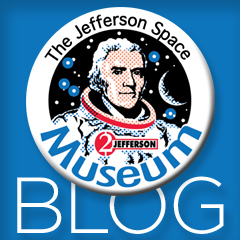 But at least -- like the Jefferson Space Museum -- they can be enjoyed online. These bills represent the greatest assemblage of space flown US $1 bills in existence across all of the Apollo manned missions. A collection like this would be impossible for private collectors to assemble. But there is hope to acquire one or two of the bills. Note that some flights have 4 bills (one for each crew member, and one for the NAA) which were all turned over. Other flights, like Apollo 14 and 13, only have one bill in the archive...perhaps the crew members kept their bills. One can always hope! :) In the end, however, these bills represent an important part of the tradition of US astronauts carrying currency into space -- as important of an influence as the old fighter pilot short-snorter tradition. This is one of the 4 flown one dollar bills from the Apollo 11 flight used by the crew to certify their flight with the National Aeronautical Association (NAA). This bill is part of the Smithsonian collection, which has all the NAA bills from the manned Apollo flights. Not that the bill is crew signed, as well as signed by the NAA representative who received the bill from the crew upon their return.